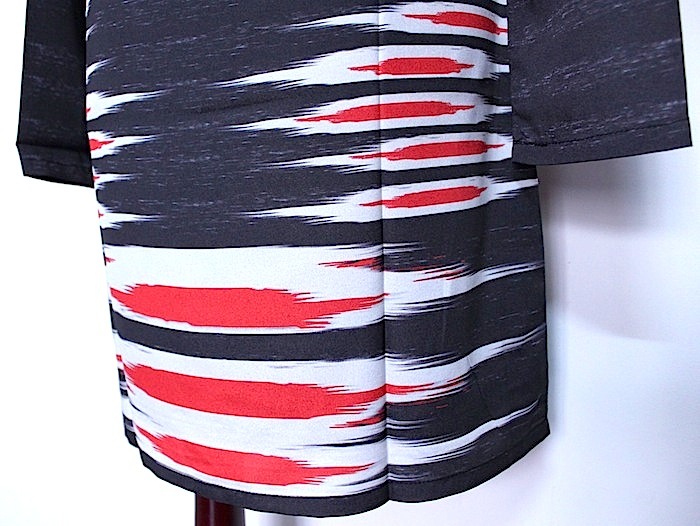 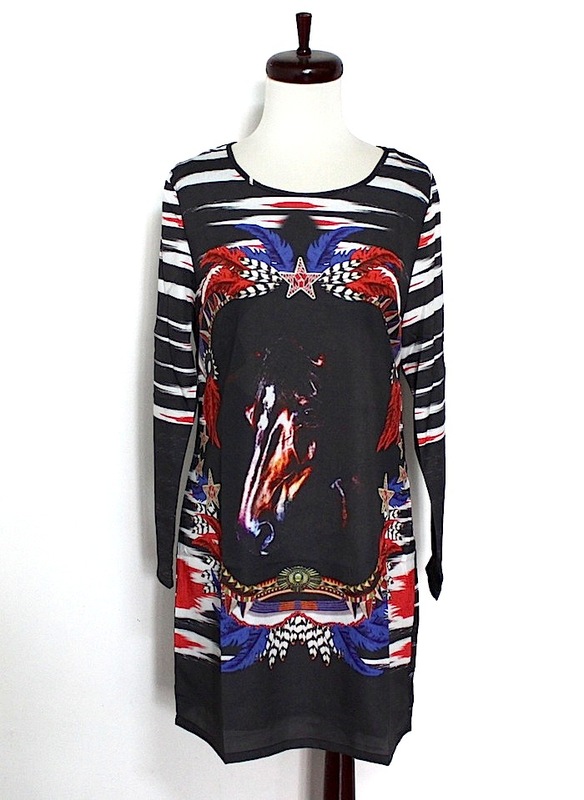 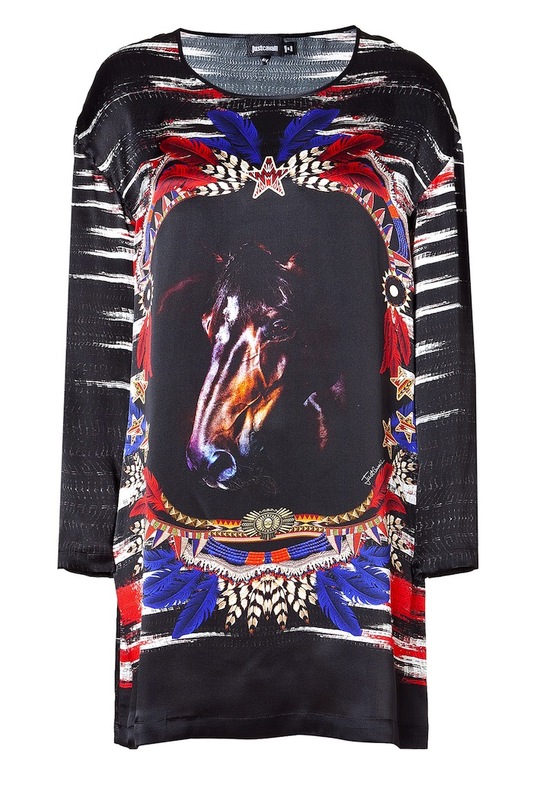 Add of-the-moment edge to your causal look with this versatile horse print mini dress. 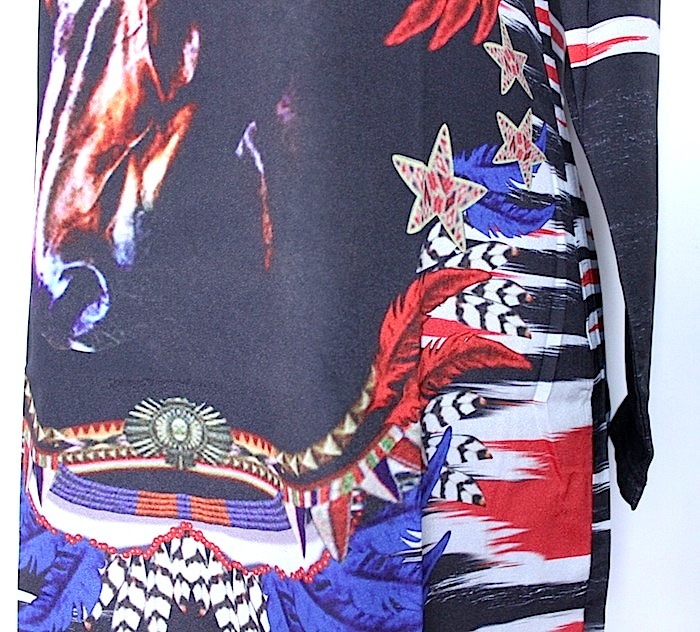 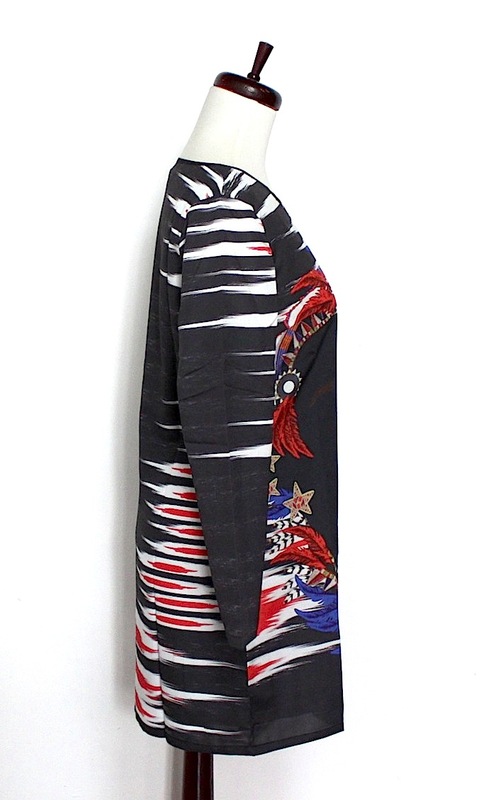 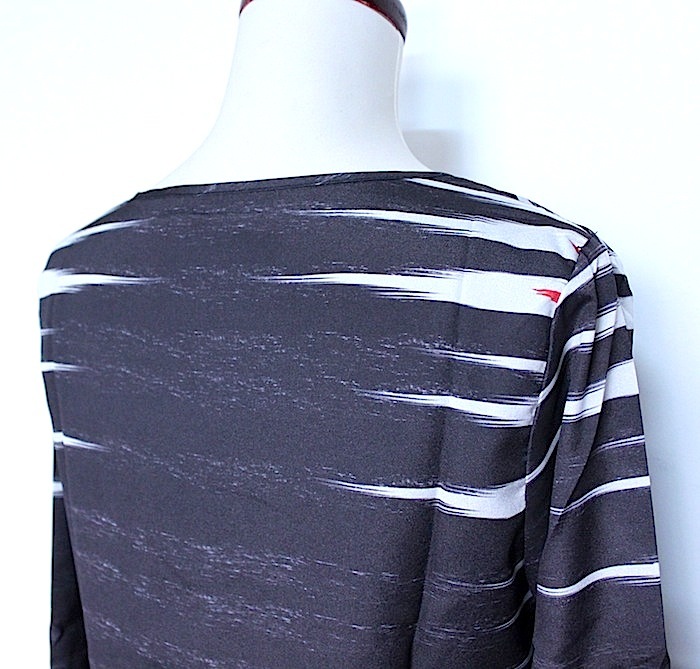 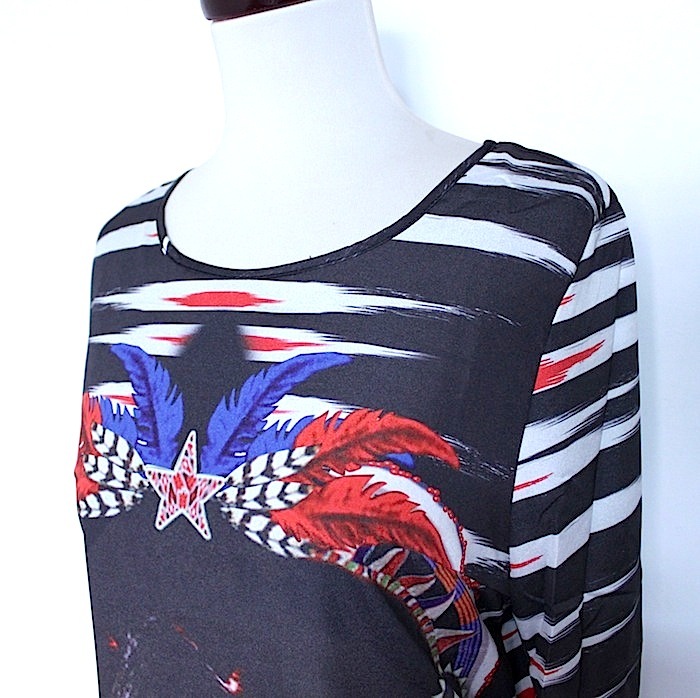 Round neck, long sleeves, oversized silhouette, front horse graphic with tribal inspired print. 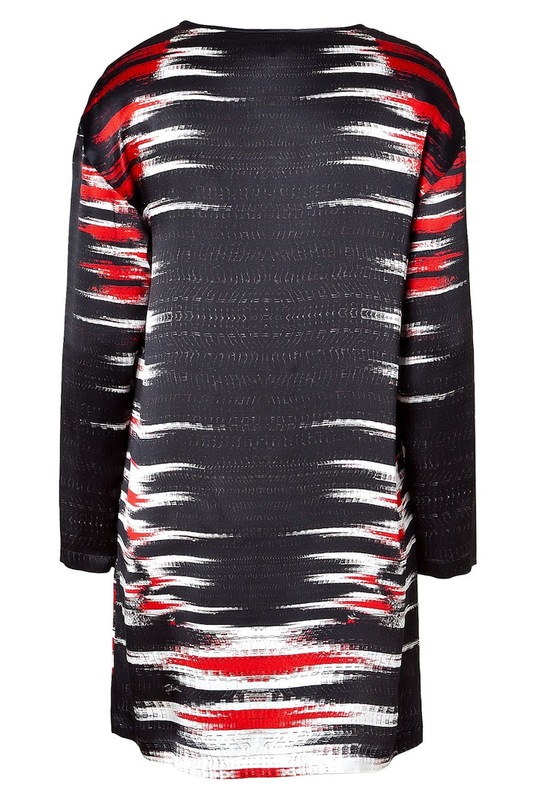 Wear with a boyfriend blazer, peep-toe booties, and an oversized leather satchel.